The year 2010 saw the release of two albums by side projects of members of historic US prog outfit Djam Karet, along with the band’s live-in-the-studio album The Heavy Soul Sessions. 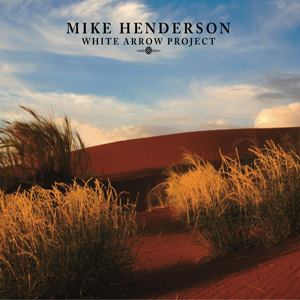 While Chuck Oken, Jr and Gayle Ellett explore electronic progressive music with Ukab Maerd, guitarist Mike Henderson is responsible for this largely acoustic, song-oriented White Arrow Project. According to the accompanying press release, the album took many years to complete, and, though all its participants live in the same Southern Californian town, this is the first time they have actually worked together on the same project. While this lends the album a warm, endearingly ‘homemade’ feel, light years removed from the contrived nature of so many mainstream productions, White Arrow Project sounds definitely more streamlined than most of Djam Karet’s output. Not that it should come as a surprise to long-time fans of the band, who are by now quite used to its members’ need for branching out and expanding their sonic horizons – as also witnessed by the two albums released in the past couple of years by Gayle Ellett’s acoustic side project Fernwood. Though the album is solely credited to Henderson, who lends his distinctive guitar style to the compositions (as well as playing most of the other instruments), the musicians involved (including Chuck Oken, Jr. on drums) form a very tight unit, whose contribution is essential to the fabric of the sound. Employing both male and female vocals, White Arrow Project is a quintessentially melodic offering, with quite a few catchy, almost poppy moments (such as closing track “Summertime”) and a distinct lack of hard edges. The album lacks any numbers longer than 6 minutes, most of them featuring vocals and keeping a steady, relaxed mid-pace. The press release mentions influences such as Kate Bush, Dead Can Dance and Brian Eno, and the moody, atmospheric nature of the instrumental tracks may indeed bring the latter musician to mind. The similarity between some of the songs and Kate Bush’s output is also quite remarkable, particularly as regards the presence of the bouzouki’s distinctive metallic twang. On the other hand, I have found the Dead Can Dance comparisons somewhat more tenuous – since neither of the vocalists (while perfectly adequate) reaches the stellar level of Lisa Gerrard and Brendan Perry, nor does the music possess the same deeply haunting quality. Out of the 12 tracks featured on the album, most involve singing of some sort, which, in my view, often detracts from the musical aspect instead of enhancing it as it should. Caroline Dourley, with her well-trained, well-modulated voice, only sings on a handful of tracks, the majority being performed by Jack Housen – whose contribution on the bouzouki is an essential component of the album’s overall sound. However, I found his vocals rather disappointing, at times reminiscent of Gordon Haskell on King Crimson’s Lizard, though not as grating. The presence of a truly commanding male voice such as the aforementioned Brendan Perry would have lifted the level of the album from merely pleasant to actually memorable. Not surprisingly, then, the true highlights of this album are provided by the three instrumentals, showing that the group of musicians are indeed a finely-tuned unit. The Eastern-flavoured “Emergence” (where the Dead Can Dance comparisons surface most strongly), “Equinox”, with its acoustic/electric interplay, and the hauntingly percussive “Continuum” meld gentle, folksy strains and New-Age-tinged electronics, creating soothing textures and intriguing soundscapes. As to the vocal tracks, I found those performed by Caroline Dourley more impressive than the ones featuring Jack Housen (with the exception of the muted, hypnotic “Stone Wall”). On “Lasso”, Dourley’s subdued vocals forms a backdrop for the instruments rather than the other way round; while the Celtic undertones of “Can’t Wait Anymore” may bring to mind Clannad’s more recent output. A lovingly crafted album by a group of gifted musicians, White Arrow Project is likely to appeal to those who like folk- and ambient-tinged music with a nice balance between vocal and instrumental parts – as well as those who are looking for some respite from the demands of the weightier instances of prog. With a very manageable running time of 57 minutes, it is a very listener-friendly disc without being overtly commercial, performed with passion and skill. On the other hand, its pleasant but not quite memorable nature might cause it to be overlooked among the glut of progressive or quasi-progressive albums that are flooding the market.